There is nothing Wall St likes more than a cash splash. And that’s effectively what they were presented with last Wednesday as the Federal Reserve placed rate hikes on hold – for a little while at least. It was a stark about-face for Jay Powell and the gang in their first Fed meeting for 2019. Since December 2015, when the Fed raised rates for the first time since 2006, there has been a distinct upward trend in the borrowing rate with the only question being when the next one would come. With his speech on Wednesday, however, he suggested for the first time in years that the next move may not necessarily be up. Instead, any decision would be “data dependent”. That lovely old phrase which takes us back to the “good news is bad news” scenario of a few years ago. Good news is bad news refers to the fact that markets will tend to rise on bad economic data. This is because any bad results for the economy will mean the Fed is more likely to lower interest rates. Meaning more cash in the economy, and more discretionary spending. As we said above, Wall St loves a cash splash. It is totally contradictory of course. Markets should want a strongly growing economy, which in turn can only be good for company balance sheets. But no, a terribly performing economy where company profits will suffer is going to make its share price rise. Go figure. It’s the short term view that many traders seem to have. There was also more positive news for markets when Powell mentioned that the efforts to reduce the $4 trillion assets they hold could be reduced or postponed in the near future. The $4 trillion in assets refers to all the bond buying the Fed did following the GFC. You may remember it being referred to as “quantitative easing”. And the winding back of it refers to the $50 billion in bonds the Fed is reducing that amount by each month. Well, the wind back is being wound back. Much to the pleasure of Wall St and the White House. Once again, more cash being left in the system is better for the market. So far, the positive market news coming out of the Fed has overruled the generally poor results coming from this year’s earnings season. For companies reporting so far, and that’s 45% of the S&P500, both earnings beats and positive surprises are at their lowest levels since 2011. Luckily it seems the market was ahead of this trend and a lot of the disappointment has already been built into prices. In other words, we saw this coming. The S&P500 is up 4.3% since earnings kicked off on January 14. Of the three big results we spoke of last week we saw two winners and a loser. Apple (AAPL) came away with a win, beating estimates on profit and revenue by small margins but disappointing with guidance. And while iPhone revenue was down 15%, growth in its services segment, which includes Apple Pay and Apple music, grew 19% year on year. This is a strong sign going forward for Apple. Facebook (FB), was an even bigger winner. Its average revenue per user went through the roof, increasing by 19% from the previous year, and overall revenue gained 30.4%, while profit was up 61% in the same period. Amazon (AMZN), however, wasn’t so lucky. Despite reporting quarterly records for both profit and revenue and beating estimates on both, investors didn’t seem to like the slightly lower revenue expectation for Q1, and an increase in the increase of spending for 2019. Amazon’s share price fell around 4% after the announcement and proceeding earnings call. It seemed a harsh reaction to what was otherwise an impressive showing. On Friday, we saw a fantastic non-farm payrolls report which showed the economy adding 304,000 jobs in January. It’s the perfect scenario – more jobs, increasing wages, but crucially continuing low inflation. The falling cost of commodities, especially oil, is certainly helping here. 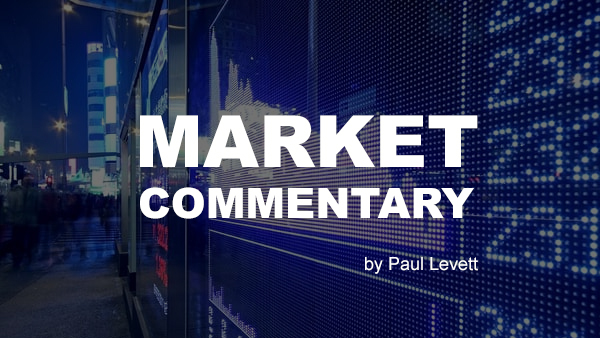 For the outlook this week markets will continue to be led by a mix of economic data and earnings results. We’ll start to see a backlog of economic reports coming out which were initially held back due to the government shutdown. Dow component Walt Disney (DIS) reports tonight as the company prepares to launch its streaming service to rival Netflix and Amazon. We can expect to hear more news on this during the earnings call. Despite being a fan of the stock, it’s been a hard one to hold over the last few years. The share price has seen more sideways action than Sebastian. That’s the crab from Disney’s The Little Mermaid for those that don’t know. To be fair, that’s probably most of you, but you get my point. Sure, it hasn’t lost anyone any money, but you like to see more consistent price action over a longer period. I think, however, that 2019 may be the year it breaks out. The streaming service will help Disney monetise its own fantastic back catalogue of content, instead of gifting profits to others. The acquisition of Twenty-First Century Fox should also be completed in Q1 of this year. While Star Wars land will open at Walt Disney World in Orlando later in the year. Get me there! Add to this one of the biggest blockbuster years most can remember with the 9th Star Wars moving coming out, along with the follow up to their 2013 kid’s hit Frozen, and a fourth Avengers movie. Walt Disney subsidiary Pixar will release Toy Story 4, and remakes of Dumbo, Aladdin, and the Lion King. It’s going to be a big year, and it could be good news for shareholders. Other big earnings releases will come from social media leaders Snapchat (SNAP) and Twitter (TWTR), fast food makers Yum Brands (YUM – pizza hut, KFC) and Chipotle (MG), and carmaker General Motors (GM). For more earnings results take a look at the highlight list below.